Arthur A. Levine Books, 9780545296700, 368pp. 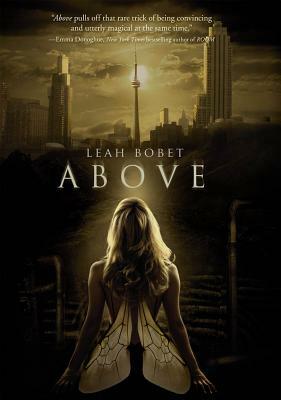 "ABOVE pulls off that rare trick of being convincing and utterly magical at the same time." Matthew has loved Ariel from the moment he found her in the tunnels, her bee's wings falling away. They live in Safe, an underground refuge for those fleeing the city Above--like Whisper, who speaks to ghosts, and Jack Flash, who can shoot lightning from his fingers. ABOVE is the debut of an amazing new voice. Leah Bobet’s short fiction and poetry have appeared in Realms of Fantasy, Strange Horizons, The Year's Best Science Fiction and Fantasy for Teens, and nominated for the Pushcart Prize and the Rhysling Award. She received a 2008 emerging writers’ development grant from the Toronto Arts Council. She lives in Toronto, Ontario.